A legendarily talented man lost his battle with depression (among possible other ailments) this week, and regardless of the circumstances surrounding his death, it is certainly that: a loss. I’ve been surprised at exactly how effected I was by his passing. A man I never met, yet (like may of you) felt like I knew very well. 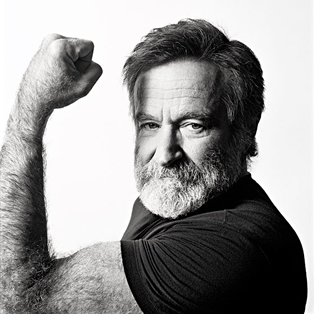 I shed tears for Robin Williams; for other talents I’ve seen pass I felt like I’d lost something precious (like a priceless painting or a family heirloom), for Robin, it felt like I lost a friend. Robin Williams was every bit as influential for me (along with millions of others) as Bugs Bunny or The Muppets in forming my comedic sensibilities growing up; in later years I discovered his depth and gifts in the dramatic arts as well — the Yin to his own Yang. I wanted to wait a little bit to write this up — the “But daddy, I want it NOW” internet culture we live in means that there have been plenty of accolades and memoriams already uploaded if that’s what you’re looking for (and goodness knows he deserves all those and more) — but I wanted to offer a little personal perspective after the dust had time to settle. We have lost many talented artists in recent years, and the part of me that enjoys romanticizing them wants to declare that the young artists we produce now can’t even come close to the level of accomplishment and ability of the legends we’ve seen pass this decade. While that remains to be proven or disproven, when we lose a Philip Seymour Hoffman or a Steve Jobs (or even someone as iconic as Don Pardo, whose voice’s absence will be felt more unmistakably than his name’s for most people), we are losing a distinct presence whose void will never be replicated…even if it is replaced by the next generation. And of course there is the added sadness of knowing that Mr. Williams took his life. In the days immediately following his passing, there was a lot of debate about who as “at fault.” Whether it was truly his own doing or if it was the disease of depression that was to blame; whether it was a freeing act for him to finally find peace or a selfish act leaving his family and friends alone. And whether the fact that he was in the early stages of Parkinson’s Disease made it any more acceptable. I’m neither qualified nor terribly interested in those debates, so I (as always) strive to share only what I know: that regardless of the true “cause,” that we have all suffered and lost as a result. The truth of the matter is that oftentimes (this being one of them) the cause is less important than the effect. He is gone now, which means that his family has lost out on extended time I’m sure they would’ve wanted with their father/brother/etc., his legions of supporters and admirers have selfishly lost out on being able to experience his gift in the public forum, and he himself has lost out on the joy that comes with experiencing God’s delightful details that permeate every new day (though some days admittedly more visibly than others). Without even realizing it I was mourning the loss of being able to show my kids the man who’d brought me such joy as a child and such reverence as an adult. I’ll still be able to thrill them with Jumanji and Aladdin or bond with them over Good Will Hunting and Dead Poets Society, but there’s always going to be an asterisk of sadness now when I think about the laughs we won’t share because a tremendous man was unable to see or tap into the love and respect that was literally waiting to burst forth from an entire world that wanted to tell him that he was appreciated, that he was wanted. But of course that last bit is the selfishness of someone who will miss a man he never knew along with the simple joys and complex inspirations he cultivated. The bigger takeaway from this is what can we do for the next Robin? The one who isn’t a movie superstar or a comedy legend, maybe the Robin who’s your neighbor or work buddy or uncle that you don’t facetime quite as often as you mean to. Who is the person in your life that needs to hear that they’re wanted, respected, and loved? A concept that I don’t think I can claim credit for, but one that I stand behind more and more firmly as time goes on and tragedies I’ve witnessed pile higher, is to eulogize the living. The concept is simple, everything you need is right there in the name. Basically it’s what can I do to take all those nice thoughts, words, emotions, deeds, feelings, tributes, etc. and lavish them upon my loved ones in the here and now? It doesn’t have to be extravagant, it’s just finding someone who makes you laugh and letting them know they bring joy into your life. It’s being as appreciative for people in the present as we are after they’re gone. It might not have saved Robin from himself, but at least he would’ve been reminded that there were those willing to fight with him when he didn’t have the energy to fight for himself. It’s not a cure, but it’s a start. It might not have been a victory over his demons, but it wouldn’t have been a loss. people lament that their brokenness keeps them from finding/being capable of love; that they need to fix themselves or achieve perfection before they can love or be loved. but in reality, that’s nonsense. love is less about filing down your brokenness and imperfections and more about finding the right set of jagged brokenness with which yours most perfectly matches. one precisely square piece in a sea of jigsaw puzzle pieces would be utterly useless and alone. 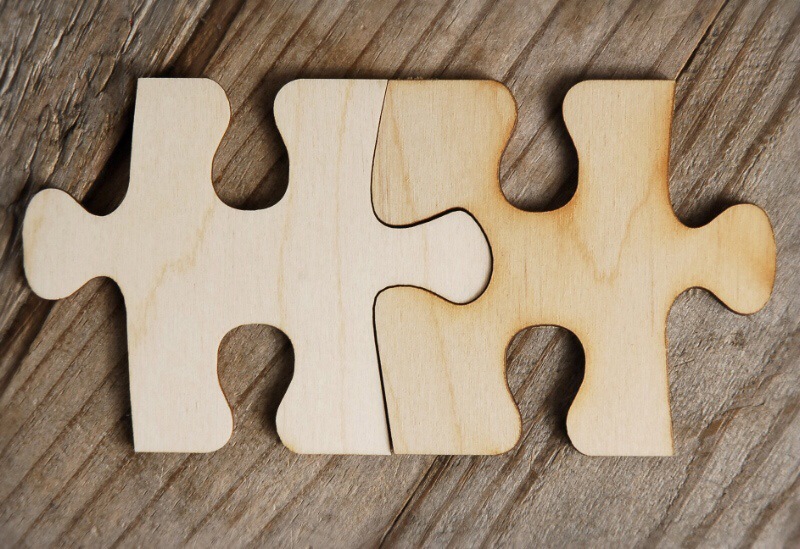 how much better to be a seemingly ridiculously shaped piece that, against all expectations, aligns completely with another, equally ridiculously shaped, broken piece.